Morley Gallery is a public venue that is dedicated to reflecting the breadth of art and design practice.In addition to the gallery, Morley College has displays and exhibitions across its main College buildings and also hosts a range of talks and special events, open to all. 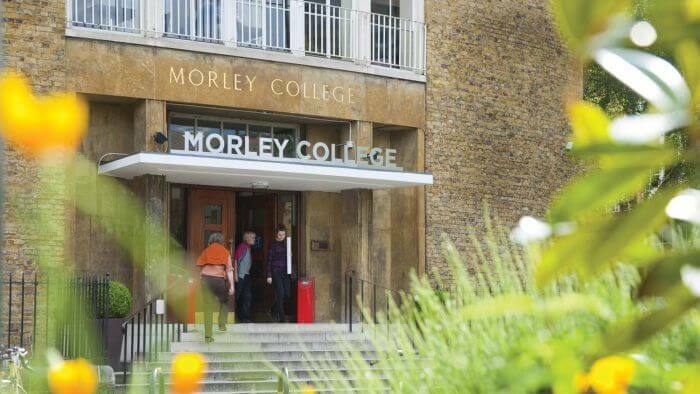 Morley College was established in 1889, and with its roots stretching back some years before that, Morley College London is one of the country's oldest and largest specialist providers of adult education. Morley College is based on original philanthropic, charitable foundations, which continues to be a distinguishing feature of the College to present day. Morley College was founded to address the learning needs of Waterloo and Lambeth - an area of great poverty at the time. As the Morley Memorial College for Working Men and Women, Morley College was the first institution of its kind to admit both men and women on an equal footing.